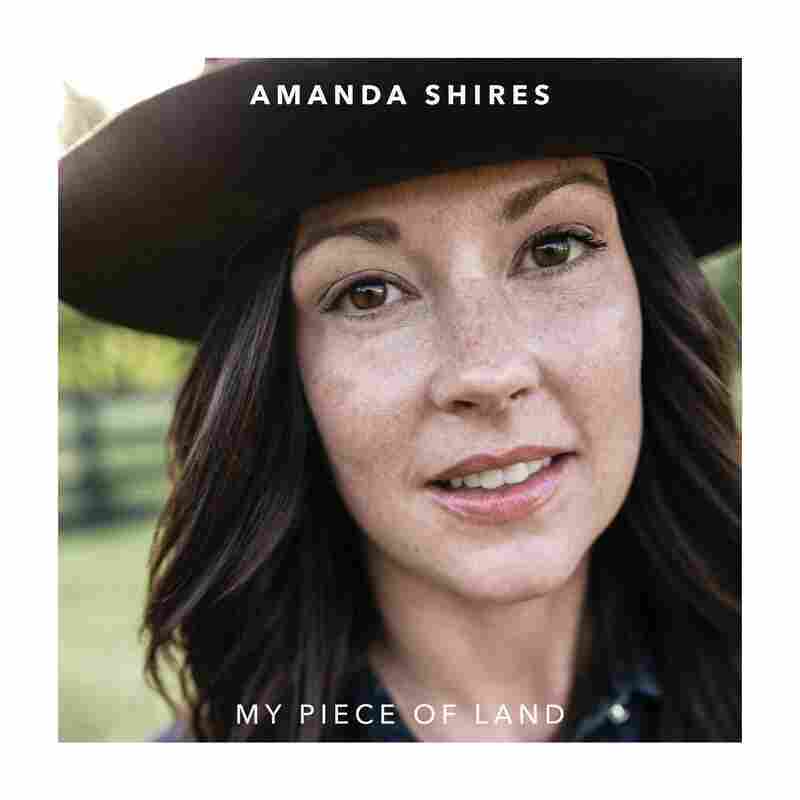 Review: Amanda Shires, 'My Piece Of Land' The singer and fiddler has mastered craft and structure in order to communicate the nuances of a richly responsive internal life. Amanda Shires has a way of pausing over a note and pulling it in a few directions. Some have called this a warble, others a catch. In "Harmless," a dive-bar torch song from her new fourth album, My Piece of Land, Shires employs this instrument of indeterminacy while describing the beginning of a risky relationship: "Yea-a-ah," she intones after each phrase about spilling a drink or admiring this stranger's thunder-colored eyes. "It might have been harmless," she sings in the chorus, after each little confession. But her interjections have made it quietly clear that nothing is that simple or safe. Shires has her MFA in creative writing from the Sewanee School of Letters and an advanced degree in Western swing from the school of the Texas Playboys (the late Bob Wills' venerable band, with whom she played fiddle as a teen). Both forms of education have helped Shires master craft and structure in order to communicate the nuances of a richly responsive internal life. "I remember the fire and the way it dimmed, as a fire will sometimes do," she sings over a cowboy-surf guitar line played by her husband and frequent co-writer, Jason Isbell. Throughout My Piece of Land, Shires traces the heart's nearly imperceptible shifts: Her cheating song is called "Slippin'," while "When You're Gone," about the loneliness of the left-at-home spouse, marks heartache in floorboard creaks. Pregnant when she recorded this album, Shires makes a nursery rhyme of the way time expanded along with her belly, and the many things she did to control the process: stained the floor, read the classics, "pulled a randomly growing vine." She sets her observations within uncluttered musical frameworks, her fiddle lines moving across the arrangements like alternate lines of thought, the rhythm instruments and keyboards forming wide vistas across which her images unfold. Shires is a virtuoso, and anyone who's seen her front her own band or play in Isbell's knows she can cultivate musical drama. A few tracks on My Piece of Land (which was produced by Dave Cobb, who loves nuance and rocking out in equal measure) build to big climaxes: "My Love – The Storm" is the classic Garth Brooks-style stomper its title implies, while "You Are My Home" builds to a grand finale that recalls the mid-1970s sound of Warren Zevon. Amanda Shires can command a spotlight. But My Piece of Land really shines in subtle gradations, in the natural environment where the voice warbles and catches, and the mind adjusts, opens up and leans toward love.